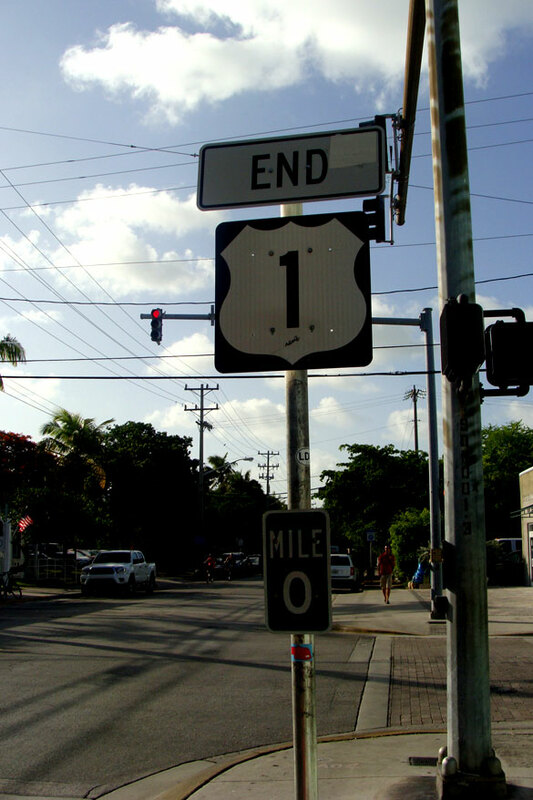 A very popular sign in Key West – The Mile Marker 0 Sign. 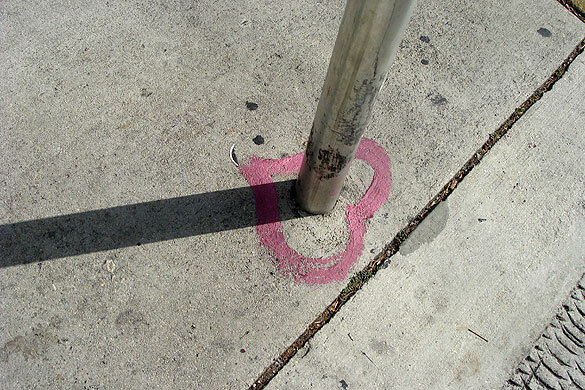 The less popular is the Mile Marker 0 Start sign. Below are photos of both. One interesting thing to note is that it marks the end and beginning of Rt 1, but the road continues a little further under a different name. 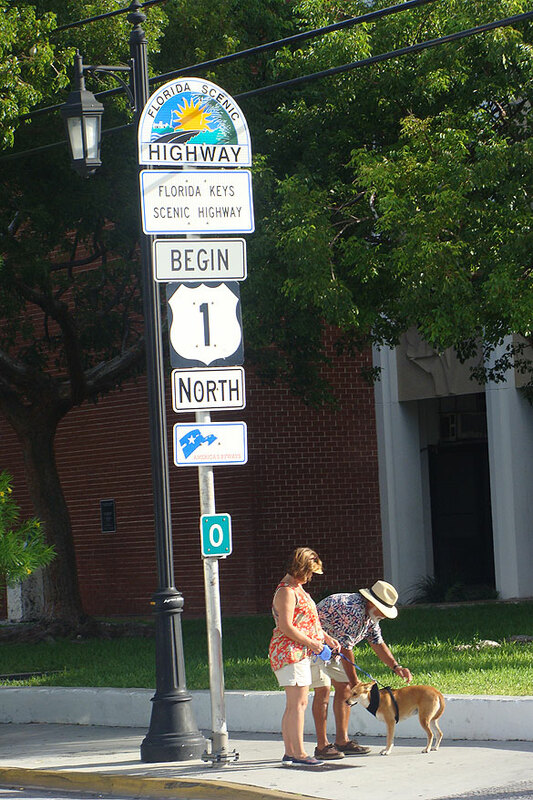 The signs are at an intersection in Key West.